Radon is an invisible, odorless and tasteless radioactive gas that is found in the earth’s soil and rocks that contain uranium. Although almost all of the soil in the United States contains uranium, it is usually only found in small amounts. When soil with high con- centrations of uranium is located, there is also a noticeable increase in radon levels. From the natural breakdown of uranium comes radium. A radioactive gas (called “radon”) is emitted from radium, which is passed up through the soil. This gas, in its original form, is inert—it can be breathed in and out again with no harmful effects. However, within thirty minutes of the formation of this gas, its natural decay process begins forming radioactive particles, commonly called “the daughters of radon.” The “daughters” are tiny particles that attach themselves to dust and smoke in the air. Once these “daughters” are breathed into the lungs, they lodge themselves in the walls of the lungs and, because of their natural radioactivity, begin to emit bursts of radiation that can destroy cells in the lungs. If Radon Comes From Soil, Isn’t The Outside Air Contaminated With Radon? When radon escapes into the outside air, it is quickly diluted by many other particles in the air. In essence, the amount of radon that is being emitted from the soil is only a very minute portion of the atmosphere. The outdoor radon level is generally between 0.2-1.0 pCi/L, with the average level being around 0.5 pCi/L. When radon becomes “trapped” within a home, there is no means to dilute or distribute the gas. The gas enters the home through cracks in the foundation, loose-fit- ting pipes, drains, and even cement floors, but has no means of escape. This can result in indoor radon concentrations many times higher than outdoor levels. Are There Any Other Ways For Radon To Enter My Home? Radon can also enter a home through its water supply. If you drink water that is contaminated with radon, the EPA believes there is no real health threat. However, radon gas can escape from the water and either create or add to a potential radon problem. Radon escapes from water when the temperature of the water is hot and its surface area is large (i.e. dishwashers, washing machines, showers, etc.). 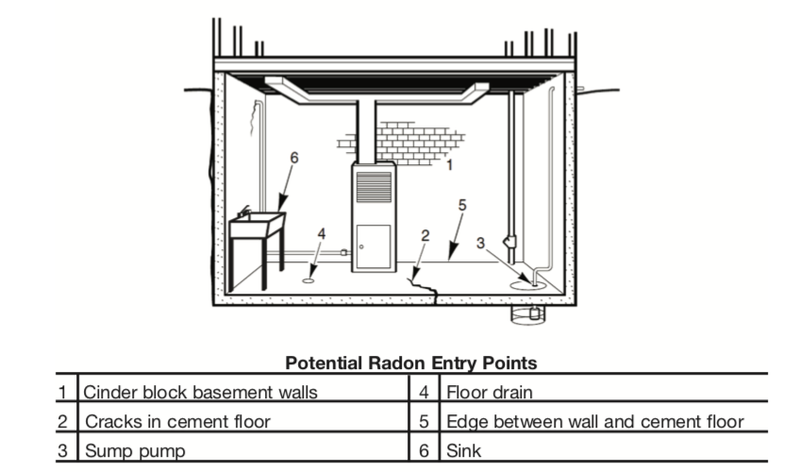 In some cases, especially when water is obtained from a private well, this “radon entry point” can be a major contributor to radon in the home. What Risks Do I Face If Radon Is In My Home? The risk of long-term exposure to radon is lung cancer. The Environmental Protection Agency (EPA), an agency of the U.S. government, has estimated that there are between 5,000 and 30,000 radon-related lung cancer deaths each year, and that radon is the #1 cause of lung cancer in non-smokers. Since there are no “symptoms” of lung cancer in the early stages, and there may be a “lag time” of between 10 and 40 years between initial exposure to radon and onset of the disease, there are no clues as to whether or not the “daughters” are destroying cells in your lungs at this very moment. Because radon is invisible, odorless and taste- less, the only way to evaluate whether or not you face the risk of radon exposure is to test your home for radon. When Is The Best Time To Test My Home For Radon? Since radon levels can vary according to the weather and the season, it is important that you test your home for radon when all windows and doors can be kept closed, except for normal entry and exit, prior to and for the duration of the test. For northern climates, the winter months are the optimum time to test. For southern climates, the test should be performed at a time when windows and doors will not be opened for ventilation. Also, it is acceptable to continue operation of central air conditioning systems that recycle interior air during the test period. 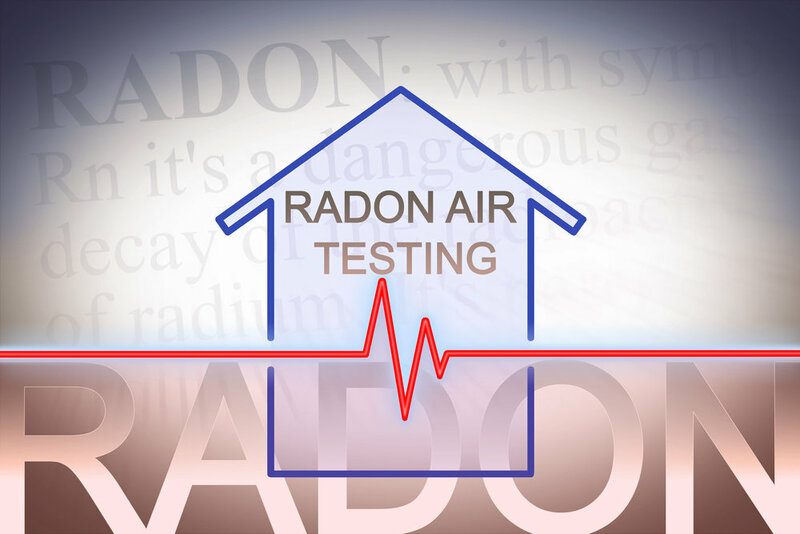 during high winds (30+ mph) or during thunderstorms can seriously alter radon levels. If you begin testing when weather is calm and severe weather conditions arise during the test, BRK Brands, Inc. the maker of First Alert® brand products recommends completing the test, but conducting another test as soon as possible during calm weather conditions. If the test results indicate different radon levels, the level of the test conducted during severe weather should be discarded.